Hillcrest Self Storage is an affordable and clean place for all of your storage, packing and moving needs. Our customers have peace of mind knowing that we treat your valuables like we would treat our own. Whether you’re seeking a location to store keepsakes, extra furniture, or a recreational vehicle,we can help.Hillcrest Self Storageoffers a variety of sizes, to meet all your storage needs, large and small. Our facility offers standard storage units with drive-up access, and climate-controlled units with interior access. Hillcrest Self Storage's mission is to provide storage solutions that are safe, convenient and affordable. We provide state of the art security systems and are committed to ensuring the protection of your valuables. We aim to provide superior customer service. Please contact our knowledgeable and friendly staff and allow them to assist you. 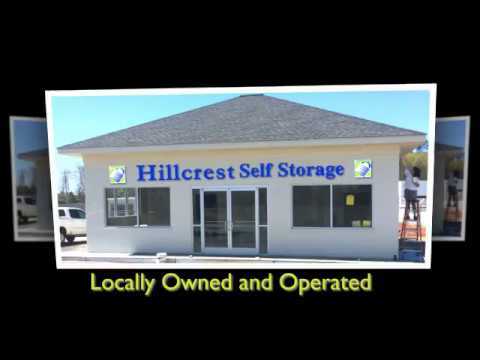 Copyright © 2017 Hillcrest Self Storage All rights reserved.